A pilot scheme has been to launched to ensure residents in North Lincolnshire care homes thought to have dementia are given the right support at an earlier stage, the Scunthorpe Telegraph reports. 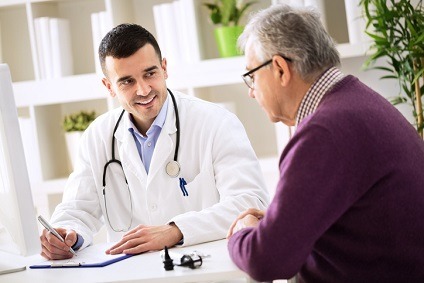 The scheme by the NHS Clinical Commissioning Group (CCG) centres on earlier diagnosis and so far more than 62 per cent of suspected cases have been confirmed. Last December the pilot scheme was launched to target the care home population. It aims to identify residents most likely to have dementia and ensure their personal care plan continues to be appropriate for their needs in a care home setting and aligned to other support services for people living with dementia. The scheme provides for a primary care nurse practitioner and health care assistant to undertake screening using the latest technology. Dr Faisel Baig, the chairman of the North Lincolnshire Dementia Steering Group, said: “There is genuine motivation and enthusiasm when it comes to dementia and we want to ensure that we do not miss diagnosing anyone in North Lincolnshire who may have dementia and then ensure that they and their carers receive the best possible support going forward. “There is more work to be done. “But I have seen lots of positive steps over the last year and my message would be please don’t hold back from seeking help if you are worried about dementia or already have dementia, the local Alzheimer’s Society or your GP will be pleased to help. “Although there is sadly no cure for dementia, a diagnosis brings with it many positives”.